YouTube is the most popular video-sharing site. Due to this popularity, the YouTube app often comes as a preloaded app in most smartphones and tablets. YouTube is filled with tons and tons of videos in different categories, from sports and entertainment to education and fashion. While YouTube can be a resourceful tool for learning and a great way to keep a child occupied, it is also full of content that is not appropriate for children. A child may start with an educative video about a specific topic and end up accessing unsafe and inappropriate content. In fact, in 2017, YouTube removed over 150,000 videos and turned off comments on over 600,000 videos that were discovered to target children. It also reported having pulled down millions of ads that had content inappropriate for kids. As a parent, it's your obligation to ensure the safety of your child. That’s why it’s advisable to use YouTube’s parental controls which are usually already built in. Though there are no guarantees that the parental controls will completely keep out inappropriate content, they do a good job of filtering content and showing videos that are more suitable for kids. 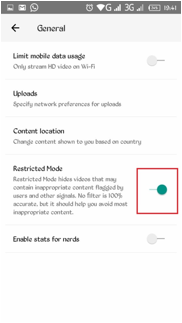 Once activated, parental controls use age-restriction settings and community flagging to filter videos that are inappropriate and unsafe for children. 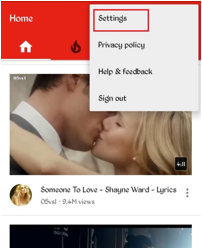 Android devices often come with a pre-installed YouTube app. 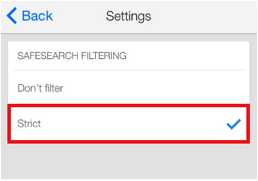 Like the iOS YouTube app, the YouTube app on Android smartphones and tablets has a SafeSearch feature which you have to activate to filter content. 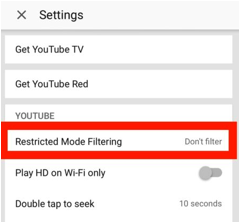 Here’s how to set up parental controls in the YouTube app on Android devices. YouTube’s parental control tool filters content that isn’t appropriate for kids. However, the filtering tool isn’t entirely safe. Some videos with adult ads and other inappropriate content can still pass through; hence parents should not rely on it entirely. The best way, therefore, is to use the YouTube parental controls, together with other methods of filtering and monitoring the content. One app that can help is the Family Orbit. Family Orbit is a great parental control app that helps you to monitor and filter your kids’ activities on their phones, including the content they access on YouTube and browsers. Although YouTube can be a great learning platform for kids, it can also have content that is not suitable for them. 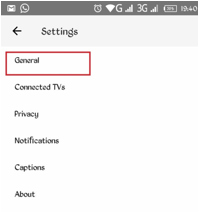 That’s where Restrict Mode and parental control apps like Family Orbit can be used.